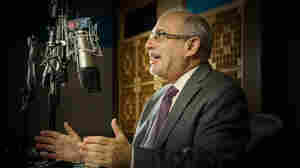 April 25, 2017  Siegel has spent more than 40 years at NPR — and more than three decades as host of All Things Considered. He says he will be leaving that role in January to "begin a new phase of life." April 25, 2017  After one of the most storied careers in NPR's history, Robert has decided to step down as the host of All Things Considered in January 2018. 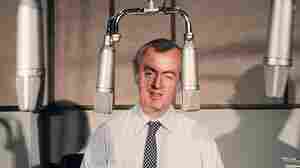 March 29, 2017  The NPR program's inaugural 1971 broadcast has been added to the National Recording Registry, alongside other "aural treasures" like Judy Garland's "Over the Rainbow." Take a listen to the first show! July 9, 2015  Correspondents Ari Shapiro and Kelly McEvers will join veteran hosts Robert Siegel and Audie Cornish on weekdays. Michel Martin is slated to become the new weekend host. November 26, 2013  Tune in to All Things Considered on Thanksgiving Day to hear a special performance and interview with Grammy award-winning musician John Mayer. November 19, 2013  More than 40 years ago, Robert Conley turned on the mic and reported on anti-war demonstrations taking place in Washington, as the host for All Things Considered's first-ever broadcast. Conley passed away on Saturday, November 16. November 12, 2013  NPR can seem like an overwhelming place for us interns looking to make a career in public radio, but it's easy to feel comfortable here. 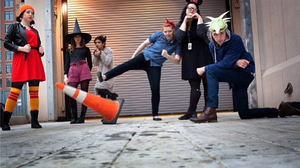 Fall 2013 interns collected insights and photos from their encounters with some of NPR's biggest and most welcoming stars - and these are their stories. November 5, 2013  A few weeks ago on All Things Considered, NPR Investigative Correspondent Laura Sullivan told the story of Bill Baker, a former inmate at Alcatraz, who came back to spend a night in his former cell. We wanted to know more, so we asked Sullivan a few more questions. October 30, 2013  Each month, the NPR podcast Playback invites listeners for a ride in the "NPR DeLorean," to revisit the movers, shakers and, yes, one-hit wonders that made news exactly 25 years ago. This month's Playback takes a trip to a time when "Love Bites" topped the charts and scrunchies hit their stride. July 16, 2013  Director Guillermo del Toro talked to All Things Considered host Audie Cornish about his new movie Pacific Rim. We found out that he loves NPR so much that he donated his car to public radio. May 27, 2013  Comedian Paul F. Tompkins came by NPR West to review an app called Sleep Machine, that helps users fall asleep with relaxing sounds. And I recommend you check out this picture of Paul F. Tompkins, showing his love for NPR, which hopefully does NOT make him fall asleep. May 3, 2013  Many know Natalie Maines as the lead singer of the Dixie Chicks. After some time off, Maines is back with a solo album called Mother, and she came in to talk about it with All Things Considered Host Melissa Block. She didn't stop there either. 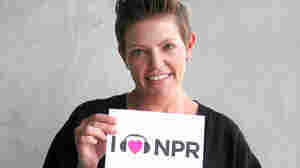 See her here, showing off some NPR love. March 9, 2013  Director Jonathan Levine is more comfortable behind the camera, but he posed for us anyway. 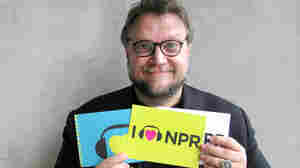 Hear him talk to NPR's Audie Cornish on All Things Considered about his zombie romantic comedy Warm Bodies. January 9, 2013  Actress Maya Rudolph and jazz musician Gretchen Lieberum had a band back in college, and now they're back together as Princess, a Prince cover band. 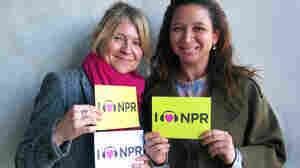 While they still might love Prince more, they've clearly reserved some love for NPR.